India have been promoting the vegan way of life for the last 1,000 years and whilst it’s not widespread across the UK, it’s certainly featuring more and more in our diets. 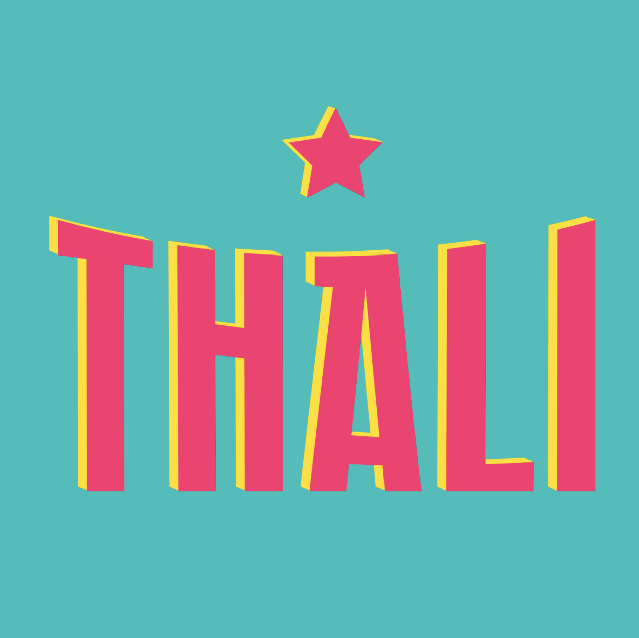 Do not fear though – whether you’re committed to the vegan way of life, or you’re testing it out for ‘Veganuary’, here at Thali we’ve got you covered. The menu is the same as the Bristol branches and you can see lots of photos of the food, it’s incredible and very reasonably priced! If you go with a bunch of friends or just as a couple, make sure to get their homemade chutneys, some of them are vegan and absolutely delicious. Tried the Easton branch the other day for lunch, on recommendation of a friend. Never had a Thali before but as it’s their signature dish I had to try it. It was a delicious selection of 5 different things (rice, curry, dhal, 2 salads, dip etc) – all so tasty and fresh. I really liked this café – the atmosphere is relaxed and it has a comfy lounging area as well as tables. Vegan dishes can be picked out by looking for V for veggie along with D for dairy-free, but the pleasant staff fully understand vegan anyway so it’s not a problem. I thought £11 was a little pricey for lunch – but saying that, I would treat myself again! Want curry? Look no further than Thali – their dairy free thali is vegan and absolutely delicious. You get an array of dishes, including a curry, rice, salad, and dhal. Always a nice atmosphere, and if you buy a tiffin you can get thalis to take home!